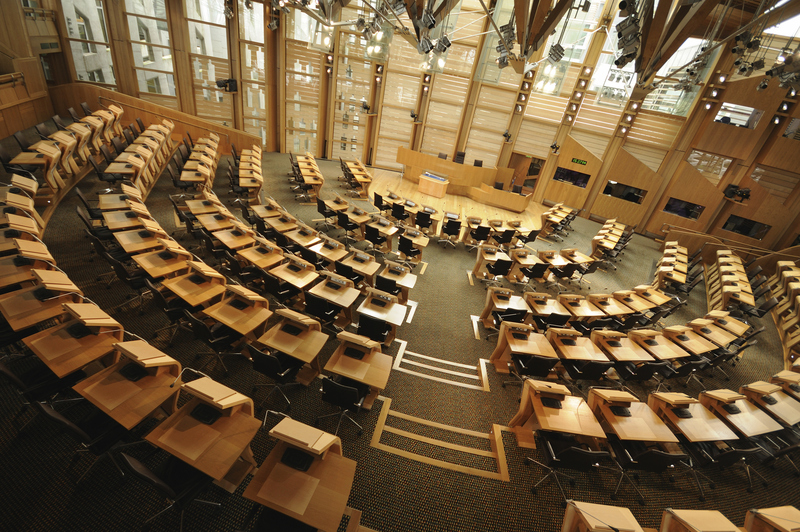 The Scottish Parliament - ready to go it alone? Scotland is going through the motions of divorcing itself from England. No counselling, no trial separation, straight to the severing of their union, followed by the ugly scene of dividing the spoils and arguing over who gets custody of their shared debts. Scotland’s First Minister Alex Salmond was elected to the post with a mandate to push the agenda of further devolution. The SNP leader, independent of the UK government, this week set a rough date for a referendum on the constitutional future of his country for the autumn of 2014, in a bold move designed to bring the debate to the forefront of Westminster politics. Unsurprisingly, both sides of the House of Commons united in support of the continuation of the status quo, and made moves to ensure that, if the question of Scotland’s position within the union is to be on the agenda, then it is so on their terms. A unilateral move towards independence, it has been pointed out, would be illegal and illegitimate, and talks between the First Minister and Prime Minister David Cameron should be entered into before any decision is made by either government. One of the main sticking points is what question or questions, exactly, should be on the ballot paper. The bottom line would be a decision on whether or not Scotland wants to remain part of the United Kingdom – a simple yes or no, in or out choice. The most likely outcome of that vote would be in favour of maintaining full membership. It would not be in their best interests to leave, nor is it quite yet the right time. David Cameron knows this, as does Alex Salmond. The First Minister is angling to change the paper to a multiple choice vote, with the aim of compromise being the outcome – more powers than are currently held by Holyrood, but short of complete independence; so called ‘Devo Max,’ until the Scottish people are better prepared to cope with the idea of freedom, and all the problems engendered by it. A change as fundamental as the complete removal of Scotland from the British landscape is difficult to envisage. At no point during the life of any living person has Scotland not been tied to their English neighbours like an old married couple – sometimes bickering, sometimes sleeping with their backs to each other, but they’ve been together for so long it’d be unimaginable that they ever separated. You have to go back to 1707, when the Treaty of Union between the countries was ratified – before that, they were merely dating – to reach the point where the two were not officially joined. The shared history of our respective countries goes back a lot further than that, much of it conducted with feelings of animosity that occasionally makes good, if inaccurate, Hollywood fodder. It’s been a long and not always amicable relationship. Much of the mental block comes from sharing this small island. It’s not like the whole nation can weigh-anchor and let itself float into the North Sea. We’ve always been physically attached, and that has proved problematic in overcoming many barriers. Were the countries to go their separate ways, it’s not as if it’d be necessary to erect another wall and set up check-points with border guards, but so many cultural signifiers are shared, as is co-dependence in terms of finance, defence, energy, and the infrastructure that has been built up in the past few hundred years of mutual habitation that no severance could be an easy or comfortable one for either party. We are still just passing through history. The shape of the British isles may only be altered on a geological scale, but the boundaries within have been altered many times within the past two thousand years. The Romans drew their northern frontier a little short of where the current dividing line lies; the various Germanic and Danish settlers cohabited along different lines. The current map may have been settled for the longest, but that doesn’t mean it will remain the same forever. We have the habit of presuming change can’t and shouldn’t happen. From an English perspective, only the most xenophobic, Daily Mail-reading nationalist would want Scottish independence. Politically, the Tories are unionists, despite it being against their interests, as, without its fifty or so Scottish MPs, the chance of there ever being another Labour government would be all but buried. I do wonder, however, how much of a role post-imperial collapse trauma plays – without its empire, Britain is desperate to hold on to whatever it still has. If the split were to include a fair proportioning of debt and assets, it wouldn’t be favourable from the Scottish side either. Since the founding of its parliament in 1999, Scotland has been subsidised to the sum of 45 per cent more than the tax it generates, and, as of 2010, on average a Scottish citizen receives approximately £1,600 more of public spending per annum than an English one. Given the powers to raise and spend its own taxes, an independent Scottish government would have no choice but to plug the gap with savage cuts – with the loss of such generous policies as free university tuition – and make a substantial increase in personal contributions. Chancellor George Osborne has also presaged that Scotland would not be permitted to retain Sterling as its currency, and would be forced to adopt the faltering Euro. Historically, the Scots have been willing to fight for their freedom, but would they be willing to pay for it? Where the ugliest and, literally, dirtiest disagreements will be encountered, will be in the ownership of Scotland’s oil industry. Alex Salmond has claimed ownership of 90 per cent of the precious black commodity on behalf of any prospective independent Scottish government. Technically, as Scotland is not a sovereign state, it has no claim over maritime boundaries, whereas the United Kingdom does. Were Scotland to suddenly become a sovereign state, its ownership would depend on international recognition of their latter claim over the UK’s current and long standing one. I’m a nine-parts Englander, with some Scottish heritage on my father’s side – my first name was chosen as an acknowledgement of the family surname. I like to regard myself as Scottish in a shortbread-tin, touristy way – ostensibly so. I have divided opinions on the issue. I’m generally for giving people what they want, and if the Scottish people want independence I’d let them have it, along with everything that entails. It couldn’t happen without severe damage to both sides, and any negotiation entered into would have to be intended to minimise fallout, but I think it an accommodation could be reached. A simile like the loss of a limb would be a little unfair – the body is stronger with it and the limb can’t survive on its own – as I believe the limb could survive, the question is if, after all this time, it’s really the right thing to do. As the Rolling Stones put it, you can’t always get what you want, but…sometimes…you get what you need. For the foreseeable future, Scotland and England need each other, and any decision taken now on their independent futures would have repercussions that could do untold damage to both for generations to come.